When I was going through my stash hunting for Fall colors, Spruced Up was one of the polishes that got my attention. It's been a while since I used it, and it's such a lovely color! 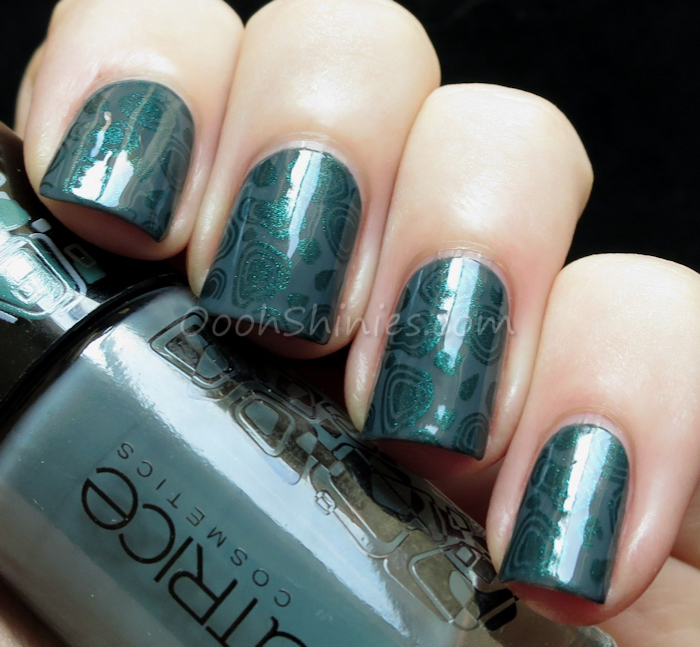 Then I saw the bottle, with the green on the cap and figured a green stamping would look good. And then I found an image that somewhat matched it as well, so here we have it! Catrice Spruced Up with Essence All Access and Pueen 09.